Marvin Hajos, 75, was killed by a cassowary at his farm on Friday after falling. The Alachua County Fire Rescue Department told the Gainesville Sun that a cassowary mauled Hajos when he fell. “My understanding is that the gentleman was in the vicinity of the bird and at some point fell. When he fell, he was attacked,” Deputy Chief Jeff Taylor said. 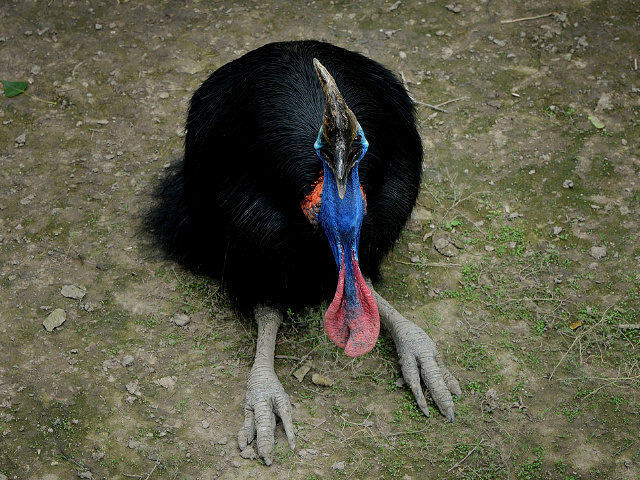 Although first responders rushed him to a hospital, he eventually died of the wounds — likely caused by the cassowary’s infamously deadly claws. Hajos was allegedly breeding the flightless Australian birds, according to state wildlife officials. Cassowaries grow to about six feet tall, weighing in around 120 pounds. They sport deadly four-inch talons on each foot. “The cassowary can slice open any predator or potential threat with a single swift kick. Powerful legs help the cassowary run up to 31 miles per hour (50 kph) through the dense forest underbrush,” according to the San Diego Zoo. While the purpose of the deadly avians on his farm has not been officially confirmed, cassowaries are not generally raised for food in the U.S. More likely, Hajos hoped to sell them as exotic pets. Like so many non-domesticated creatures, however, attempting to treat them as accessories can prove mortally dangerous.